Newark, Please Meet the New Boss: Who Is The Old Boss’ Boss’ Old Boss | Daniel Katz, Ph.D. Controversial Newark, New Jersey Superintendent of Schools Cami Anderson is out of a job only 4 months into her renewed contract, and after a tumultuous year implementing the “One Newark” school reform program, including mass student walk outs, a 4 day occupation of Anderson’s office, and repeated calls for her ouster by Mayor Ras Baraka. “One Newark” was controversial from the start, and essentially “blew up” the idea of a traditional public school system by throwing open the entire district to school choice, expanding the charter school sector within the city, and placing fully public schools under “renewal plans” (in many cases requiring entire schools of teachers to reapply for their jobs) while maintaining state control of the district which has been in effect for 20 years. The plan opened with significant chaos and uncertainty, and a year in, there are significant questions about the capability of One Newark to really deliver on its promises, and, since the “renewal” plans began in 2012, there is more evidence that the reforms have not yielded better achievement and have had discriminatory impact on faculty and staff. One thing is not in question: Anderson had a particularly difficult relationship with both parental and political stakeholders. She slated schools to close even though they were meeting their growth targets. She abruptly stopped attending school board meetings in an effort to not face parents angry at the impacts of reforms on their children. The summer enrollment process for parents to simply put their children’s names into the system to have a school selected was poorly thought out and insensitively implemented. State lawmakers waited for a year for Anderson to finally show up to a committee meeting to discuss her performance as superintendent. Even if One Newark were indisputably a net good for Newark Public Schools, the sheer incompetence displayed when doing a basic job of a superintendent, effectively communicating with and balancing the overlapping needs of all of the stakeholders in public education, should have long ago disqualified Anderson from her job. Allow me to indulge in a moment of praise for the young activists of the Newark Students’ Union who have been Profiles in Courage this past year. When many of the organizations run by adults have been far too quiet, these young people have stood up and demanded that the media and public at large pay attention to what has been thrust upon Newark’s children, families, and teachers in the name of reform. Their protests have brought national attention to Newark, and almost certainly contributed to Anderson’s departure. Sadly, that is the end of the good news. The reason for that is that replacement for Anderson will be none other than former Commissioner of Education for the State of New Jersey, Christopher Cerf, who abruptly left his office to join his former New York City DOE boss, Joel Klein, at Rupert Murdoch’s education technology venture, Amplify. The Newark education board, which has no direct control over the school system, passed a nonbinding resolution calling for the appointment of assistant superintendent Roger Leon, and is scheduled to meet with Assistant Commissioner Peter Shulman to discuss “next steps” for the district’s leadership. 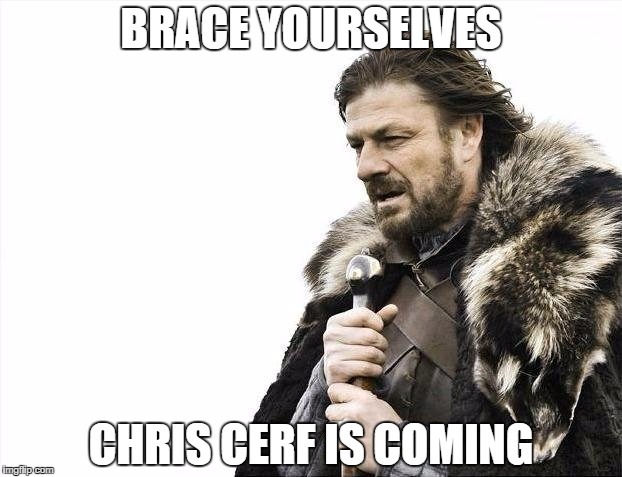 So, if Cerf’s appointment goes through, it will mean that he will replace a superintendent he himself appointed, and he will report to former underlings in Trenton. The new boss isn’t the same as the old boss. The new boss is the old boss’ boss’ old boss. It is not hard to understand why Cerf might be looking for new employment opportunities after little more than a year at Amplify. The technology venture is struggling mightily with expensive contracts, breakable hardware, and buggy software. Anderson’s mounting problems and inability to lead may have provided him with an opportune moment to jump ship. It is unclear how many people in the country would be willing to step into the mess that exists in the Newark Superintendent’s office, and Cerf will certainly bring an intimate knowledge of the plans to completely change public education in Newark. After all, he, along with former Mayor Cory Booker and Governor Chris Christie, was central in using Mark Zuckerberg’s $100 million donation to set the process in motion, setting up an expensive consulting operation before he was appointed to Commissioner’s office. This is why the S-L (Star Ledger) is almost certain to run an editorial very soon lauding Cerf ([editor]Moran’s neighbor in the very reformy town of Montclair) as the perfect pick to lead Newark’s schools to new heights. Because he’ll do exactly the same things Anderson is doing right now — but he’ll do it with a smile. He won’t fly off the handle when people dare to mention his own kids. He’ll show up to school board meetings and nod and take notes and promise to take everyone’s views under advisement. It’s also worth noting this same destructive idiocy was at play in Cerf’s policies later, when he ran the entire state’s education system. But this is how Cerf was trained. His (and Anderson’s) time at the NYCDOE under Joel Klein, coupled with his involvement in the Broad Superintendent’s Academy Book Club, formed his “creative disruption” mindset: use test scores to justify closing public schools and let privately governed charters take over. And if that’s not feasible, reconstitute the schools, generating as much instability as is possible. So Christopher Cerf is cut entirely of the same cloth as Cami Anderson with precisely the same training in philosophy and education reform. He is a strong proponent of a business oriented view to schooling as if our public schools were similar to old business models that have failed to compete against consumer innovation. He has no problem inflicting entirely unproven changes upon the education of 10s of 1000s of children because he believes “creative disruption” is just as valid a means of innovation in education as it is in consumer electronics. Apparently, it is okay if some students get the Apple Macintosh 128K education while others get the Coleco Adam. What makes Cerf stand out is not his policy differences with Anderson (of which he has precisely none). It is his political ability, connections, and powerful patrons, including Senator Cory Booker, Governor Chris Christie, and former NYC Chancellor Joel Klein. There is no reason to believe that he will not plunge straight ahead with One Newark and turn Newark into the “charter school capital of the nation.” There is no reason to believe that anything more than lip service will be paid to local control from a new superintendent who formerly ran the state with total disregard for local control, especially in the districts controlled by the state and subjected to maximum disruption regardless of local concerns. The only thing to expect is that Chris Cerf will be skilled at inflicting harm upon Newark for however long he is in that office. So Newark, please meet the new boss — and watch your back. You might win an award just for your titles. Truth is, I confused myself there.